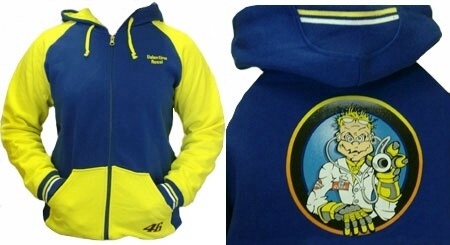 Valentino Rossi Hooded Sweatshirt - Kids Size. Full-zip hooded sweatshirt with yellow and blue contrast panels. Large "The Doctor" logo on the back.